Home → News → Welcome to the New Library Website! 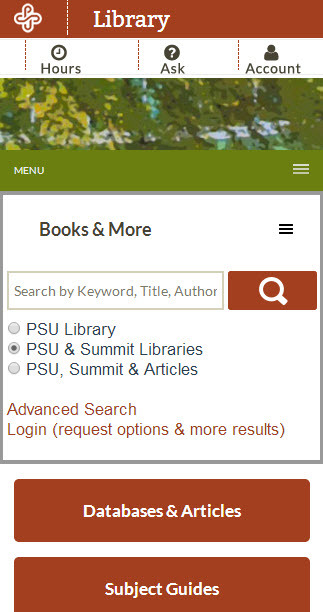 Welcome to the New Library Website! 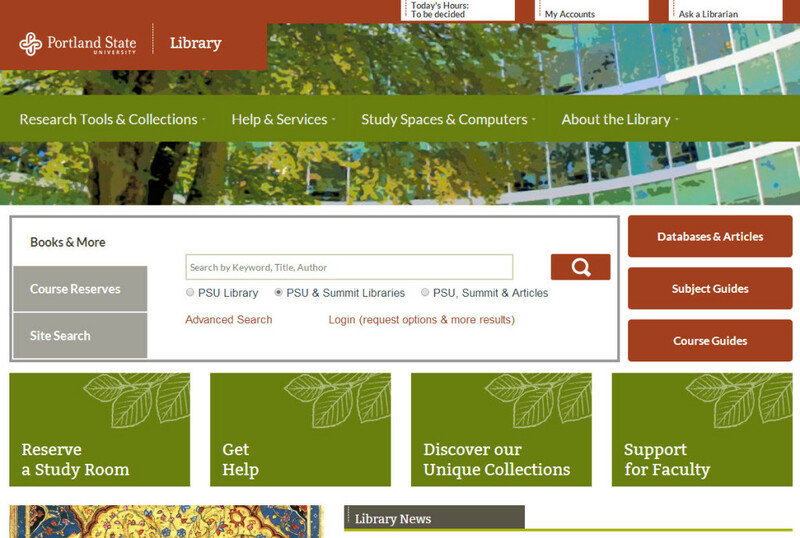 Portland State University Library is pleased to launch our newly-designed, responsive website. This new website offers improved navigation for quick access to our resources and services. The site is also responsive, meaning you will get the same experience and content on all your devices, whether desktop computer, tablet, or smartphone. We welcome your comments and feedback on our new website! Please use our suggestion form and let us know what you think. Many thanks to the PSU librarians and technology staff, including Michael Brown, Sherry Buchanan, Mike Flakus, Chris Geib, Nathan Mealey, and Kim Pendell, for their hard work on this project. The new library website as seen on a typical desktop computer display. The new library website as seen on a typical smartphone display.